The Ey Up! charity provides community, mental health and learning disability services in Barnsley, Calderdale, Kirklees and Wakefield. Our Charitable Funds exist to support service users by providing additional resources and activities above and beyond NHS funding. “Now then. EyUp! is a charity that gives health and happiness t’ Yorkshire folk. 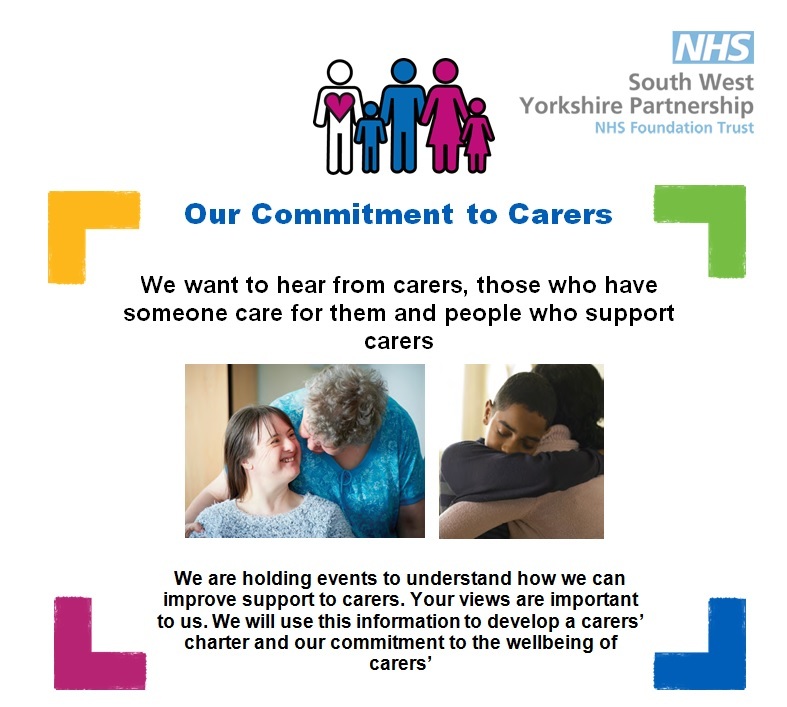 We support the work of our Trust and mek a reet difference to community, mental health, wellbeing and learning disability services. EyUp! helps our reet good staff to give even more, adding a bit o’ summat extra to services. It’s the sort of stuff our NHS can’t always afford – the bobby dazzler ideas that make a proper difference. We don’t fund NHS services or owt. Instead we go above and beyond, the extra mile, with extra happiness. We can help wi’ things for ward areas – like games or equipment. We can help visitors to our services, with stuff like play areas and dead comfy chairs and that. We can help gi’ people a lift, boost recovery and mek memories – from activity groups to service user trips or funding for community groups. We’re well proud of our linked charities who are Creative Minds, Spirit in Mind and the Mental Health Museum. Together we’re pulling out all the stops. See, there’s nowt we like more than working hand in hand with our local communities. We’ve got big ambitions and the drive to match. EyUp! captures our Yorkshire spirit for givin’ so that everyone can reach their potential and live well. 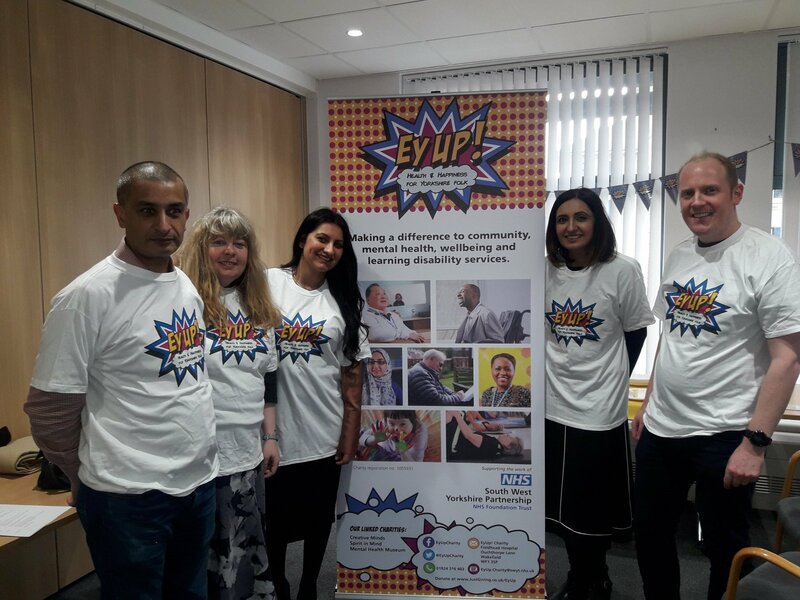 This entry was posted in Dec, Events, Health and tagged Ey Up!, South West Yorkshire Partnership NHS Trust. “Veterans helping veterans”- providing comradeship and support in a safe environment. That’s the motto of the new Calderdale Armed Forces Veterans Network which meets weekly in the Victoria Theatre in Halifax. 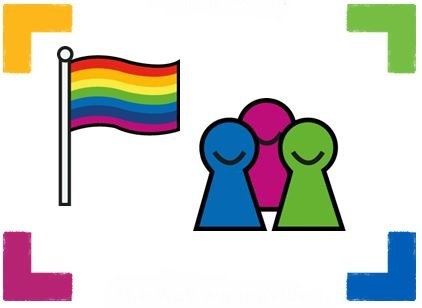 South West Yorkshire Partnership NHS Foundation Trust is part of this initiative to create a weekly support group for serving and ex-service personnel and their families. Three people from the Trust set the group up when they noticed a gap in the support provided in Calderdale and the North for armed forces personnel and veterans. The network will provide a place where serving army personnel and veterans of all ages, including their families, can meet in a non-clinical setting. Information, signposting, support and advice on a wide range of mental health and social issues unique to armed forces personnel will be offered at a one-stop-shop, alongside opportunities to socialise. The network is run by healthcare professionals who have served in the forces, who understand military mentality and who share many of their experiences. The network is being funded by two Trust programmes designed to back initiatives which traditionally might not receive NHS funding: Creative Mind and the Trust Charitable Funds, both of which provide resources for services not normally paid for by the NHS. The network meets every Wednesday at the Victoria Theatre in Halifax between 1pm and 3pm – Refreshments are provided and the whole family is invited. Those interested in the group can call 07464 496490 for more information. This entry was posted in Get Involved / Have Your Say and tagged calderdale, Calderdale Armed Forces Veterans Network, Group, Halifax, Press Release, South West Yorkshire Partnership NHS Trust, Support, Victoria Theatre.